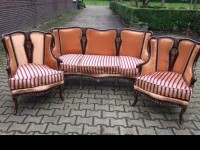 Antique 2 faces living room set consisting of sofa and 4 chairs, made in Italian Baroque style. 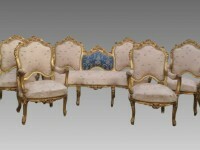 This gorgeous set is an unique model that suits every interior. 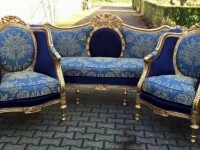 The set consists of a big comfortable sofa and 4 chairs. 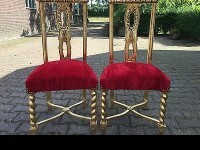 It has been recently re-upholstered in a very beautiful and good quality material! The fabric on the cushions is with two faces, black and white. You can change the side of the cushion and you will get completely new look. So basically you get two in one, plus the comfort and the deluxe of the set itself. 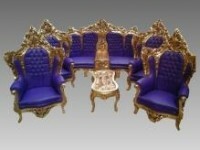 The set is very solid and sits very relaxed, it can be used every day. 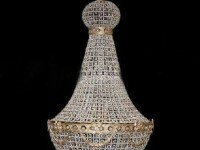 It has been completely restorated, re-gilded, refilled and refurnished. 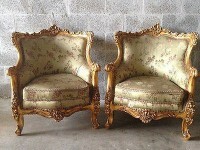 The handmade frame of the set is decorated with typical Baroque style hand carved in gold. 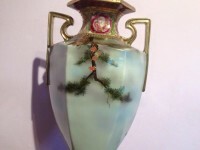 This is a big set in that it has beautiful work on top of each item. 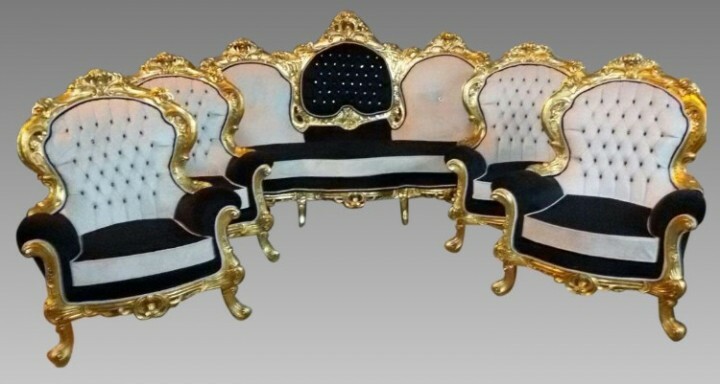 Unique pieces made in Baroque style. The set is very big and rare. 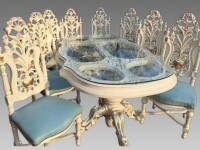 The frame is detailed and hand carved. 100% massive wood.